Panasonic has showcased its industry first 4K 50p, HDR integrated PTZ camera for the first time in Europe, at IBC 2018 in Amsterdam. The AW-UE150 provides images with a smooth and natural look thanks to its 50p sensor, making it well suited to scenes featuring fast movements and high-end applications in broadcast, corporate, education, rental and staging. Integration is provided across a variety of 4K interfaces, including 12G-SDI, HDMI, Optical Fibre and IP which supports HDR mode. In addition, the camera can simultaneously output both 4K and Full HD. This new flag ship model is the first in its class to feature 4K 50p and a wide viewing angle of 75.1 degrees horizontally along with 20x optical zoom and 32x intelligent zoom(in HD mode). The camera allows up to three Full HD crops from the single 4K image canvas, this offers greater flexibility and, alongside its compact size, makes it ideal for more challenging camera locations. Other features include a 1-type MOS sensor, large size tally, various optical stabilizers and New Web UI support. In addition to the release of the camera, the brand new AW-RP150 remote control unit was also on show offering a large LCD screen for monitoring and menu settings. The controller offers great usability and is single hand operable with a joystick in addition to traditional two hand operation that manages all control operations. 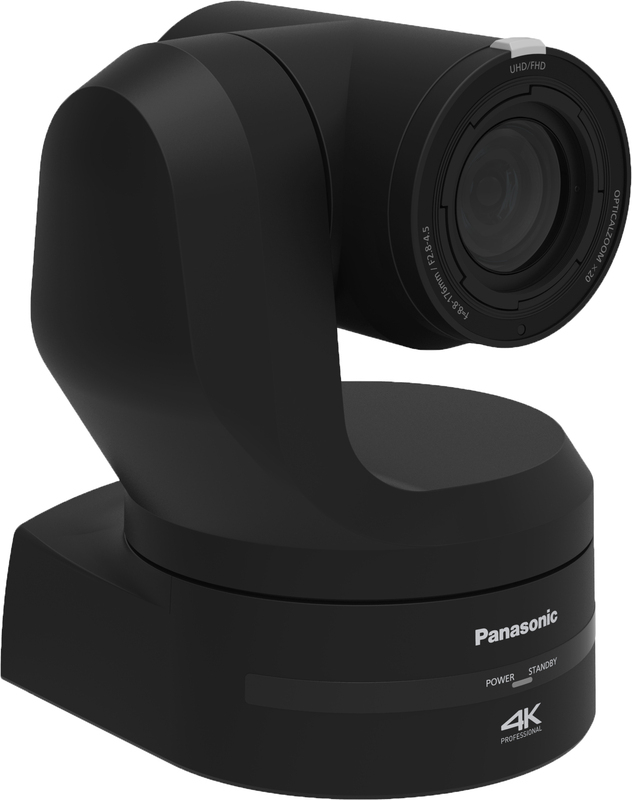 The controller is compatible with the UE150 as well as Panasonic’s previous camera models. The RP150 also adds an SDI input to the LCD panel for control monitoring, and is capable of supporting up to 200 cameras in 20 groups. The AW-UE150 and AW-RP150 are set for release in December 2018 at a price of €11,000 for AW-UE150 and €4,500 for AW-RP150.